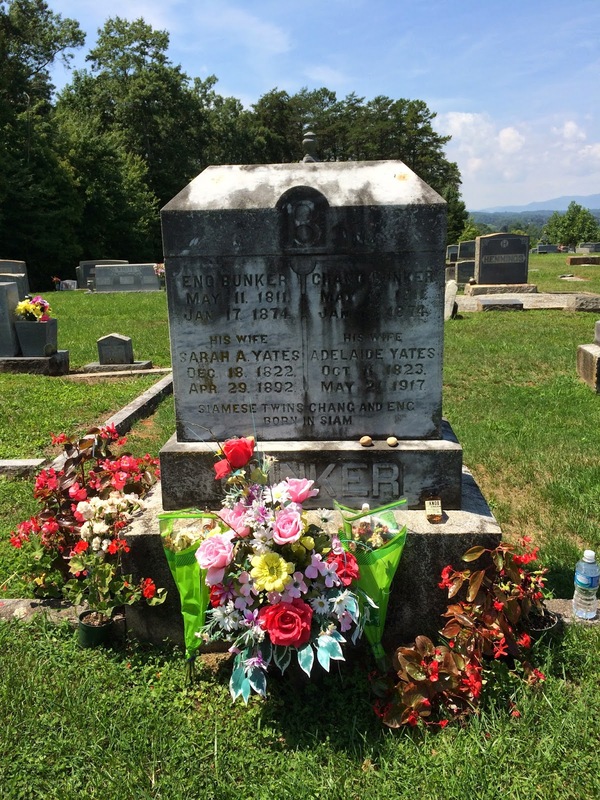 After months of trying to coordinate schedules and weather forecasts, I finally made it to the grave of Chang and Eng Bunker at White Plains Baptist Church in Mount Airy, North Carolina. 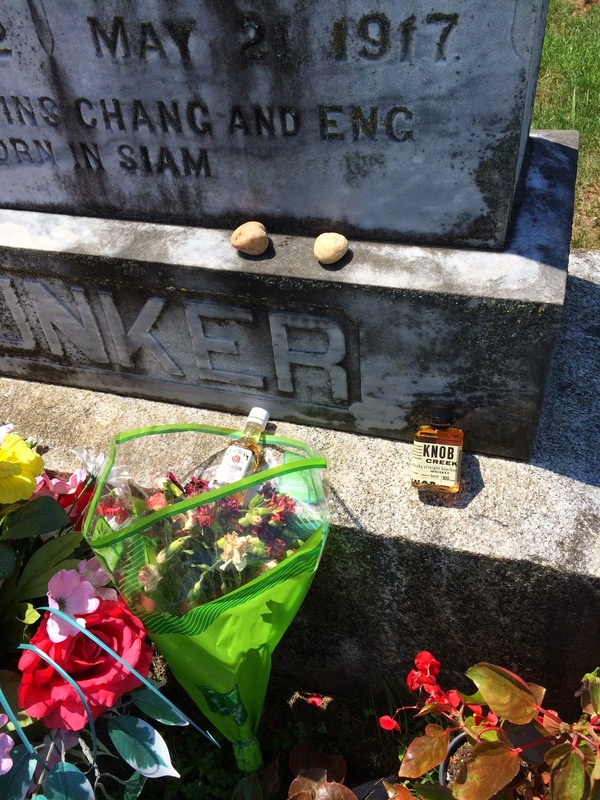 It was a warm but beautiful day and fortunately for me, I showed up in time to see grave offerings of flowers and small liquor bottles left in front of the tombstone. I don’t know if the water bottle was part of the gift or if it was accidentally left by another visitor as garbage, so I left it alone. I hear that it’s important to stay hydrated when consuming liquor, so maybe someone had a reason for leaving it there. That’s beside the point. There is no shortage of biographical information about the Bunker twins out there so I’ve provided links to additional reading and sources throughout this post. If you’re familiar with my sister site, Misc. Tidings of Yore, you know that I have a soft spot for historical newspapers. Some of what you read here will be based on old clippings from the archives. 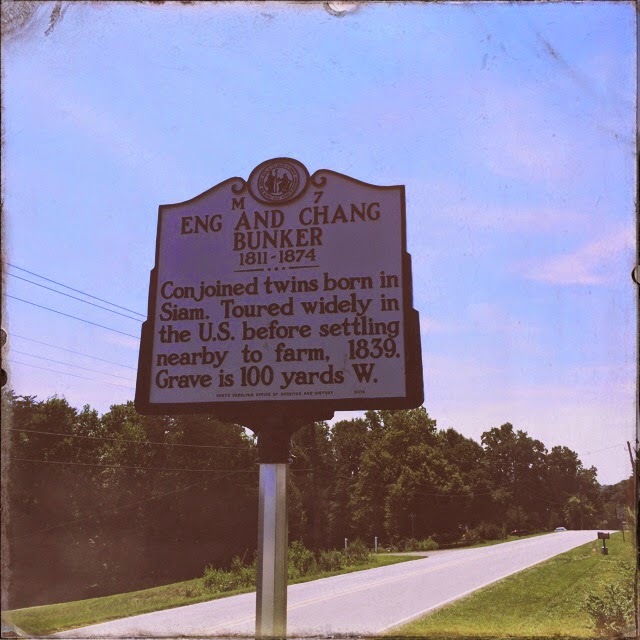 Eng and Chang were born May 11, 1811 in the fishing village of Meklong in Siam (now known as Thailand). 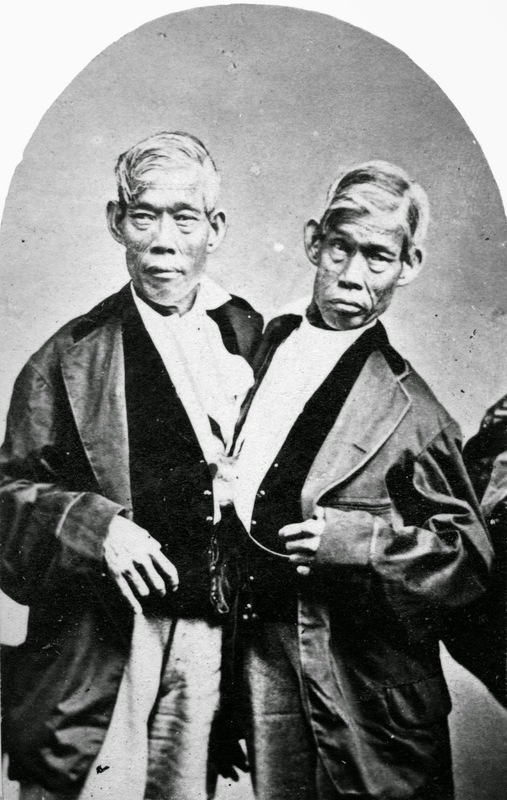 Initially King Rama II regarded the birth of conjoined twins as a bad omen and sentenced them to death, but luckily he changed his mind. 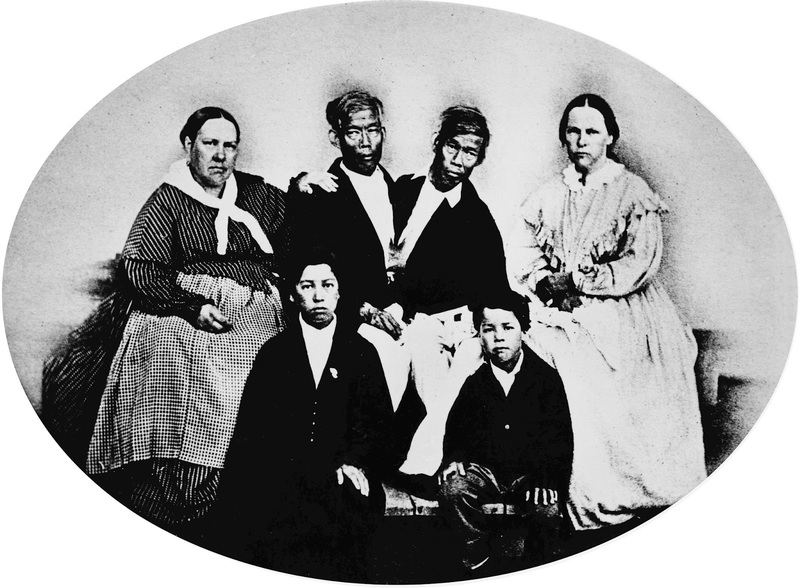 Chang and Eng received gifts from King Rama III and from time to time participated in ambassadorial expeditions. The brothers displayed an astute business sense, selling duck eggs in the village after their father’s death when they were eight. Their marketing skills would benefit them greatly down the road. 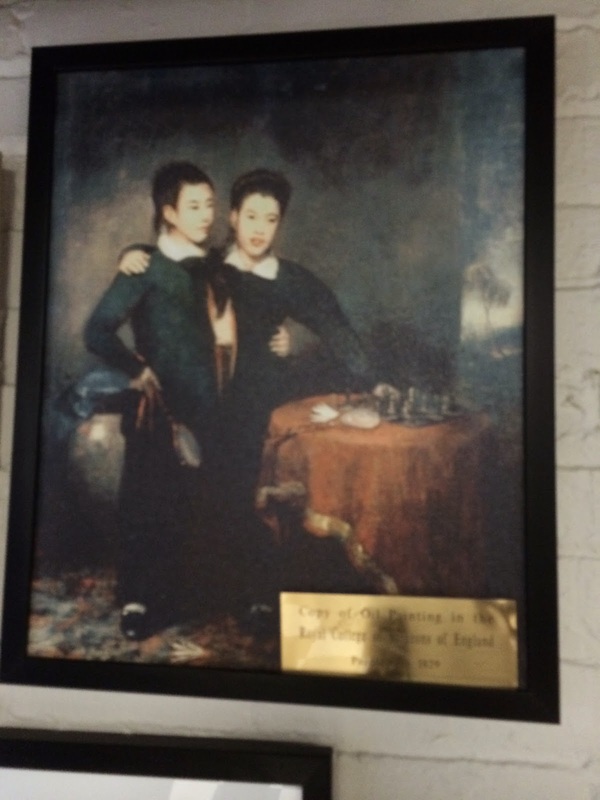 At age 18 the sea captain and merchant duo of Abel Coffin and Robert Hunter paid the twins’ mother $500 to exhibit them around the world. There had been a promise to return them to Siam after a certain number of years, but that promise was never fulfilled. Coffin and Hunter served as the twins’ agents for several years until they decided to take charge of their business affairs. 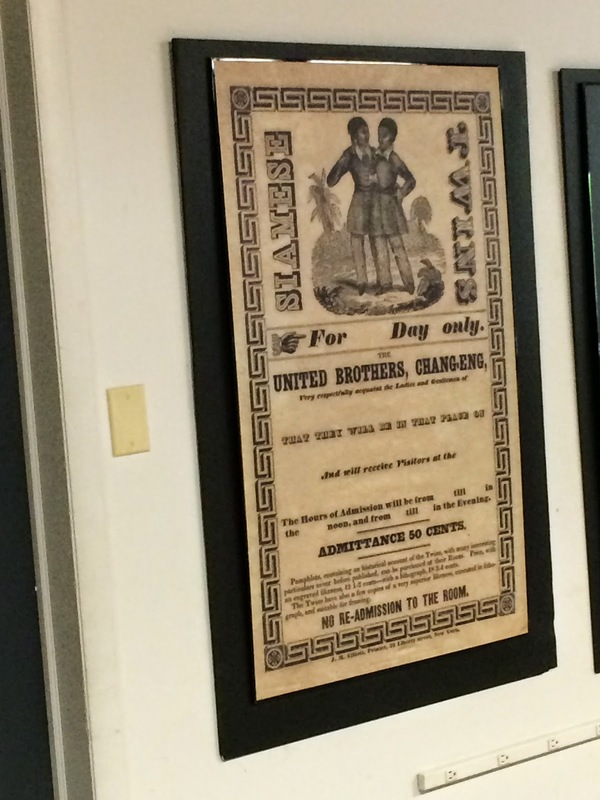 The brothers refused to participate in demeaning “freak shows” that other people born with conditions that society considered “monstrous” were forced into. 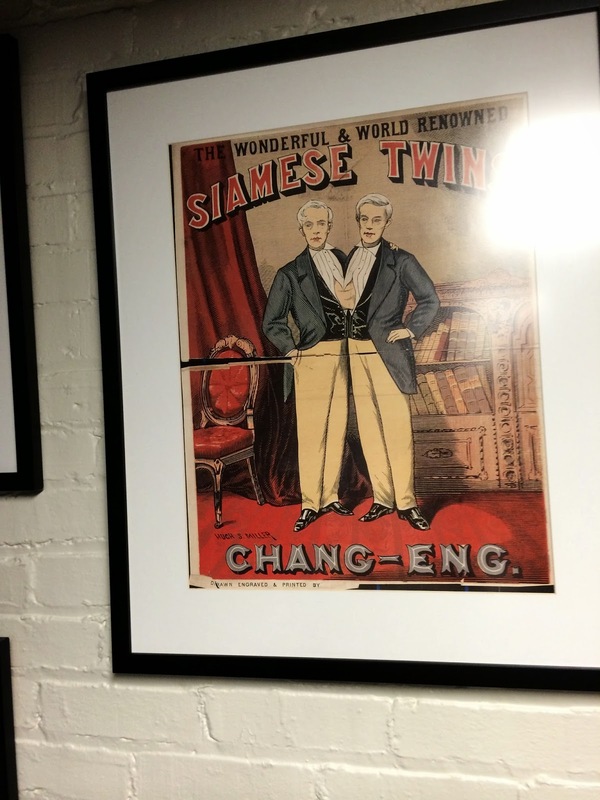 Chang and Eng carried themselves with dignity and class and they earned the same respect that any human being deserved. Having said that, I’m sure that they still encountered their fair share of gawking from and cruelty at the hands of the ignorant. 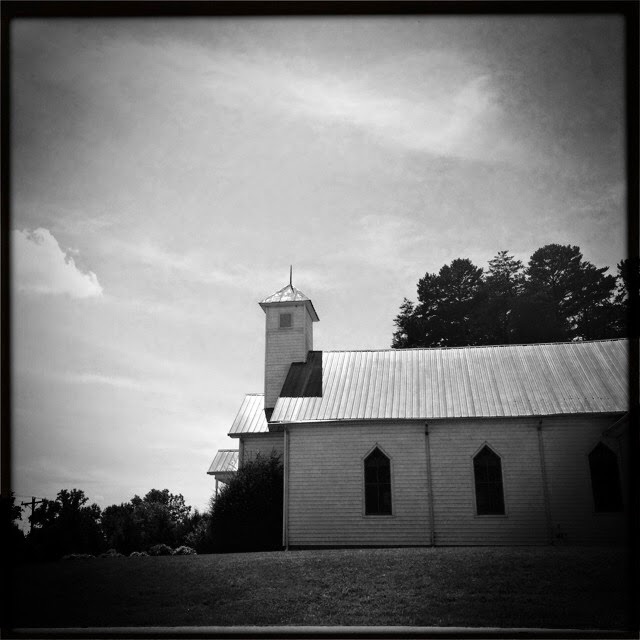 Eventually the world-famous brothers left the spotlight and settled down on a plantation in Mount Airy, North Carolina. In 1839 they became American citizens and took the surname Bunker. Chang married Adelaide Yates and Eng married Adelaide’s sister Sarah in 1843. 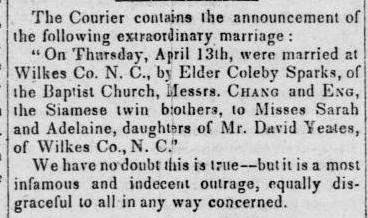 Their nuptials weren’t well-received by some factions who objected to the union of Asian-born conjoined men with white sisters in rural North Carolina as you can see in the Jeffersonian Republican clipping below. According to this article, the Yates’ father wasn’t unsettled because his daughters married conjoined twins but rather the fact that the Bunkers were Asian. 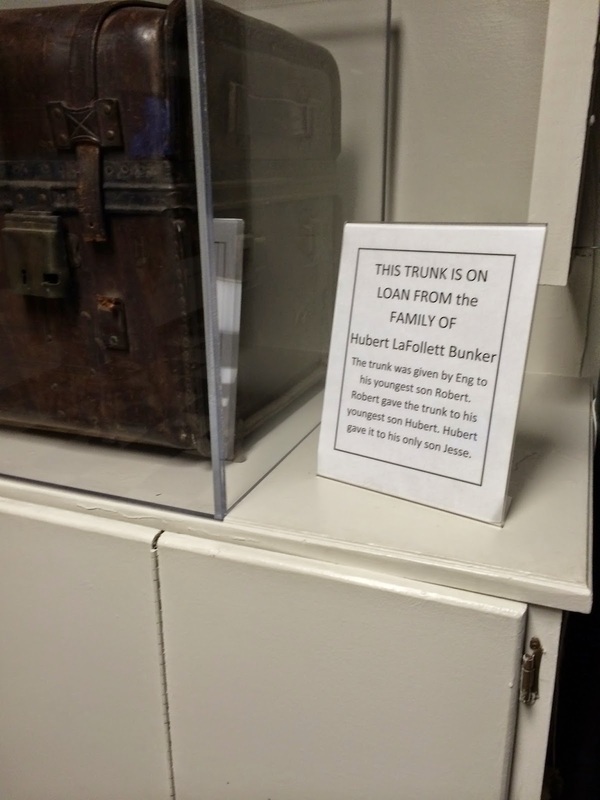 After the Civil War the Bunkers found themselves in financial trouble due to a crippled economy, their use of Confederate currency in business dealings, raising a large family, and property loss from an 1865 Union attack in their area. The Emancipation Proclamation freed the slaves on the plantation which also contributed to the decline of their farming income. 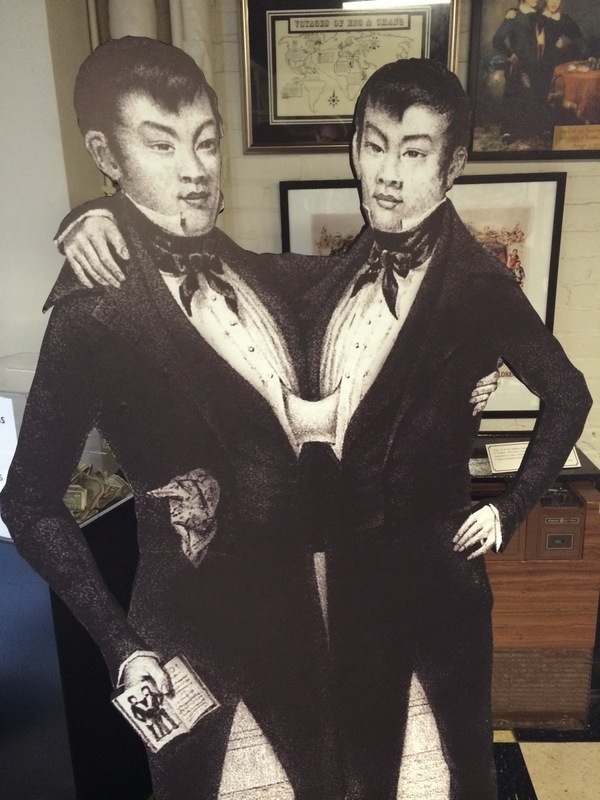 By 1868 the twins returned to show business and even traveled to Europe hoping to restore their fortune. 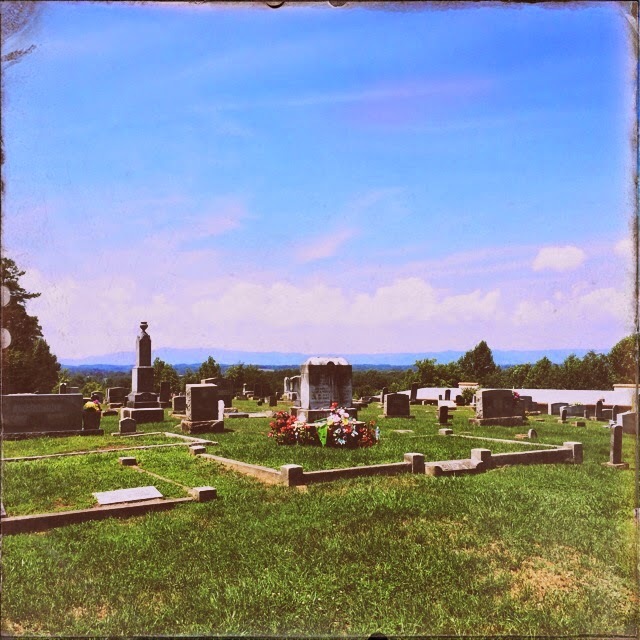 Life on the road wasn’t as prosperous as it’d been in the past. 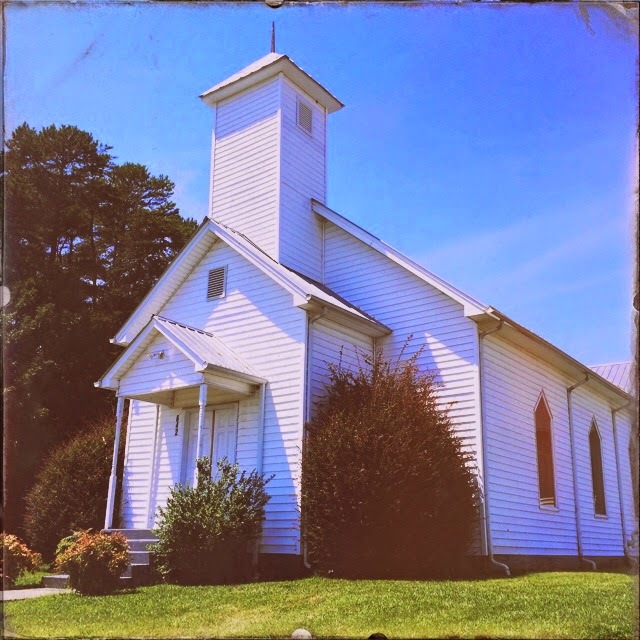 Health problems and the public’s waning interest in their brand of anatomical curiosity forced their return to North Carolina. Chang suffered from a stroke in 1870 which left him paralyzed, forcing Eng to support both bodies physically with the aid of crutches and ties. 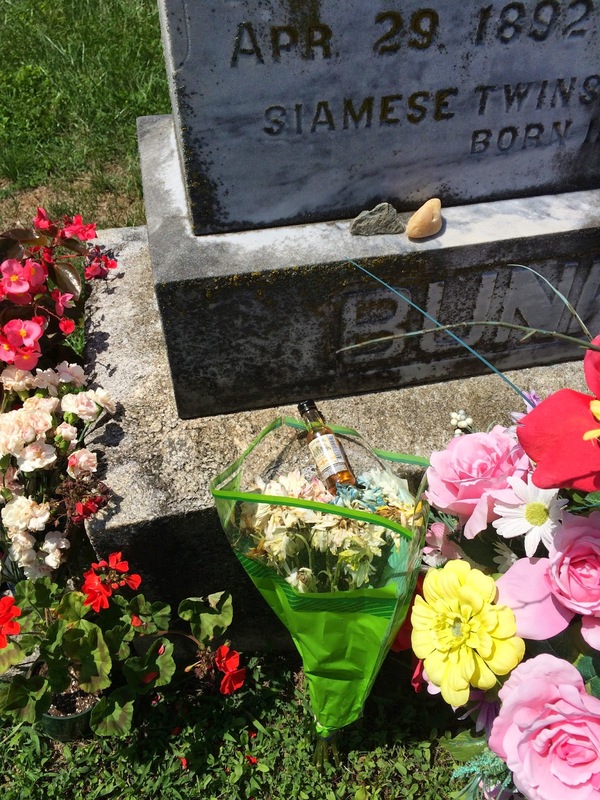 On January 17, 1874 Chang died, followed by Eng less than three hours later. 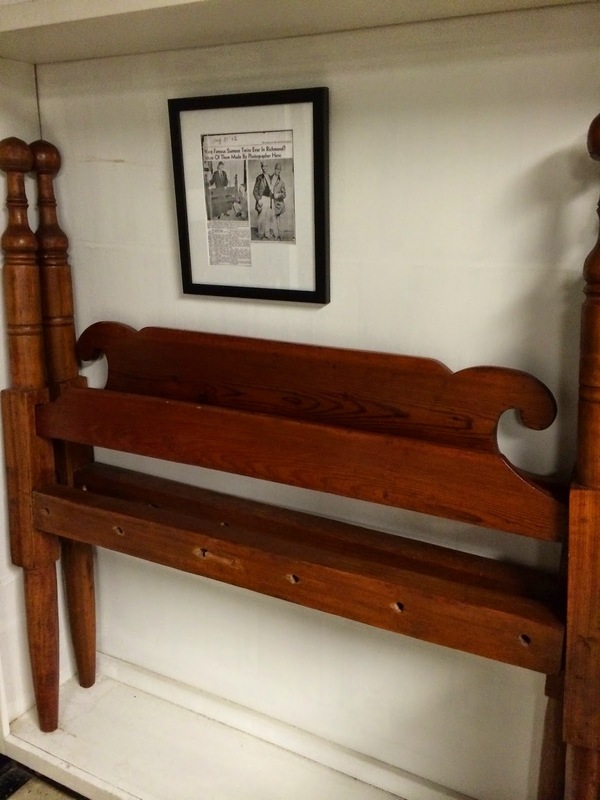 The bodies were autopsied at the Mutter Museum of the College of Physicians of Philadelphia and Chang’s death determined to be the result of a cerebral blood clot. At that time they attributed Eng’s death to shock or “sheer fright” from finding himself attached to his twin’s corpse. I imagine that would’ve been a fairly terrifying situation to find oneself in. Even though a 19th century doctor probably wouldn’t have been able to separate the twins without causing the death of one of them, it’s likely that such an operation would be successful with today’s medical advancements. 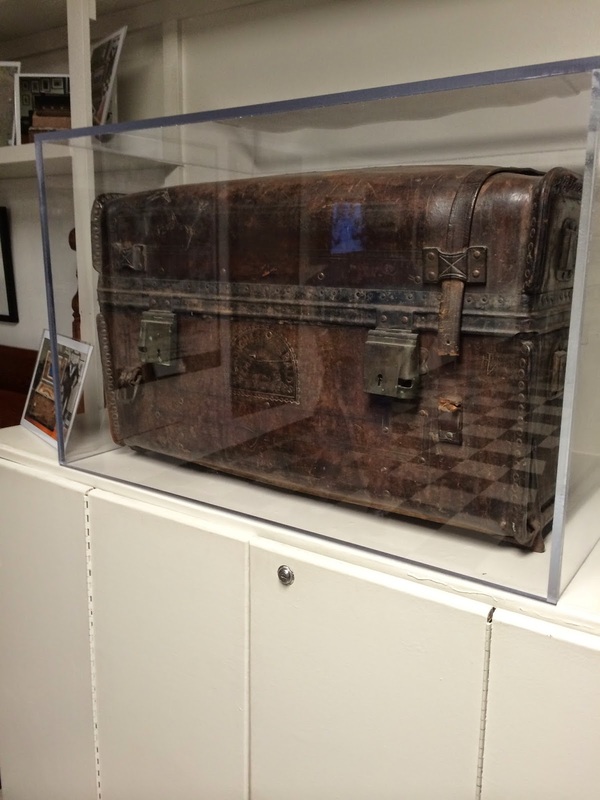 The brothers’ death cast and livers are on display at the Mutter Museum. 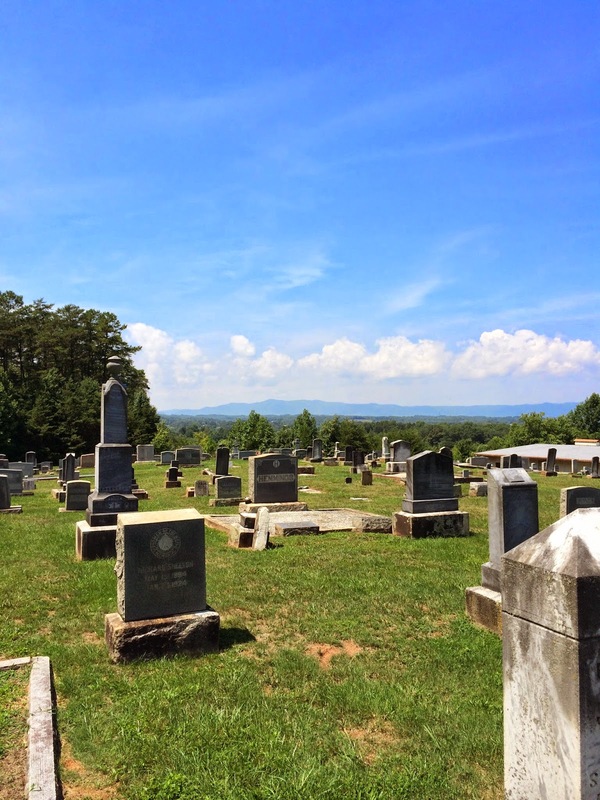 White Plains Baptist Church is a charming piece of architecture and the view of the mountains from the graveyard behind it is absolutely breathtaking.